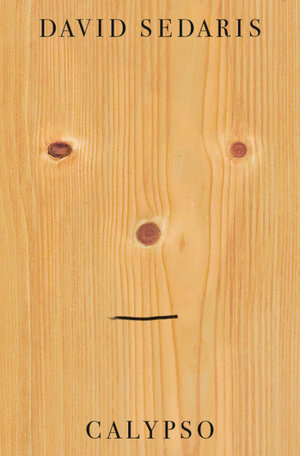 David Sedaris is known primarily as a humorist, yet the stories in Calypso aren't funny. 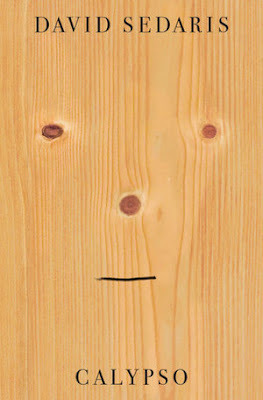 It's entirely by design that this collection of essays doesn't exactly cause you to bust a gut the way his earlier work has, and it's a quality that befits the stylistic changes Sedaris' writing has slowly been undertaking over his last few books. When you delve into the essays in Calypso, you'll often find that he takes his time getting to the point, either choosing to meander into his topic by way of a non sequitur, or by connecting a present-day anecdote to past experiences by way of a frame narrative. As Sedaris explains when I ask him about his evolving writing style, he brings up his "accidental" foray into nonfiction through "The Santaland Diaries", his breakthrough essay, and writing about his own life for This American Life on NPR. "Ira [Glass] would say, 'our theme this week is going to be music lessons,' so then I'd write an essay about that ["Giant Dreams, Midget Abilities", Me Talk Pretty One Day, 2000]. Ira wants the story to be underway within two paragraphs." Of the stories in Calypso, only "The One(s) Who Got Away", which clocks in at under four Kindle pages, has the same directness, the same restriction to one topic in one conversation, as in his earlier material. Let's Explore Diabetes With Owls (2013), with its essays on topics from catching turtles as a child to getting a colonoscopy, is really where Sedaris' exploration of this more lackadaisical format becomes evident. It's a book of mixed results with stories like "A Friend in the Ghetto" and "The Happy Place", versus the satisfying romanticism of "A Guy Walks Into a Bar Car", where Sedaris takes stock of two crushes he'd entertained on fellow train passengers years apart. You can read the rest of this review at PopMatters!